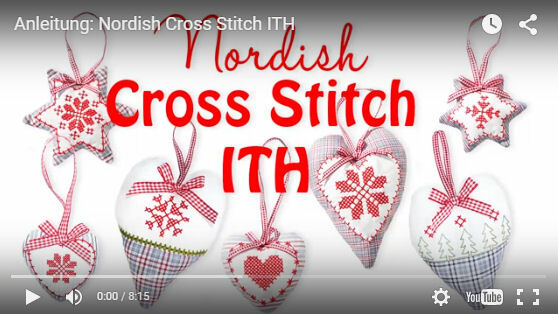 Last week you loved our latest ITH collection “Nordish Cross Stitch ITH” so much. 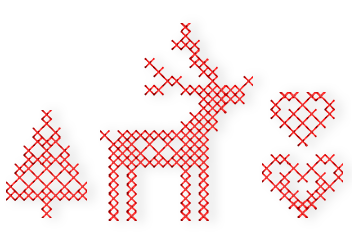 Many thanks for the warm emails, and thanks for your orders, of course. 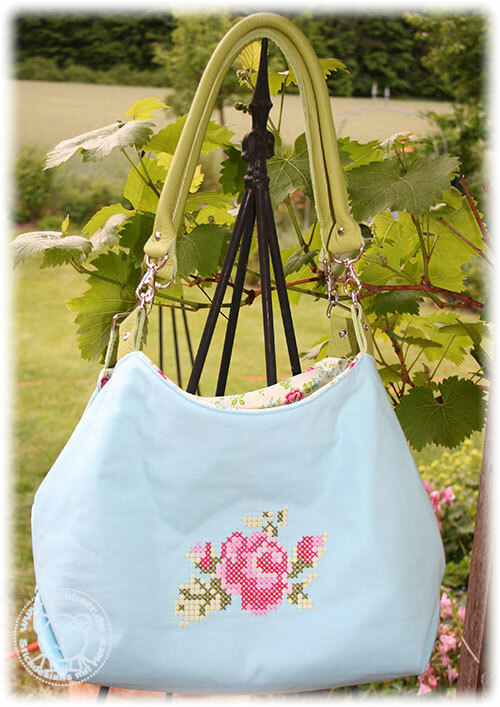 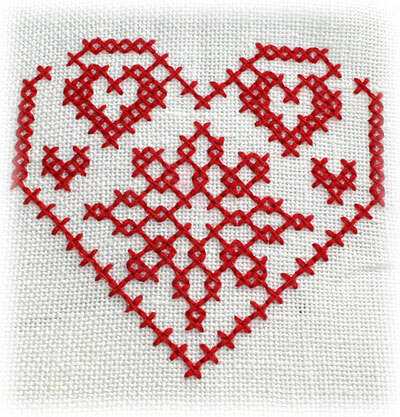 The nostalgic charme of the ITH hearts and stars comes from their cross stitches, do you agree? 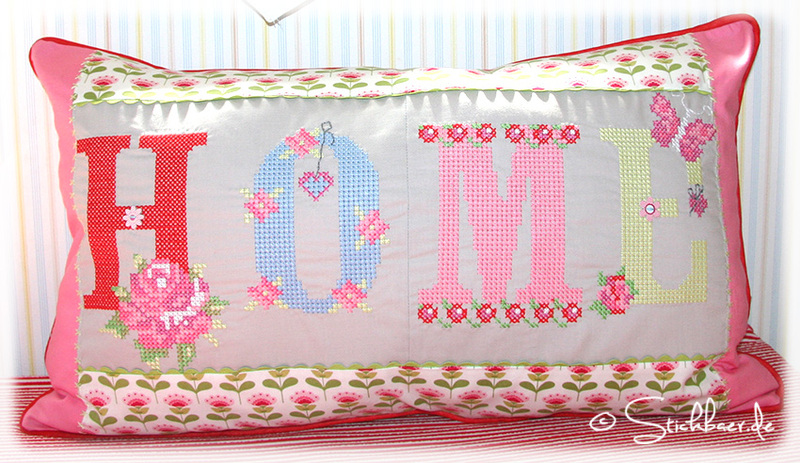 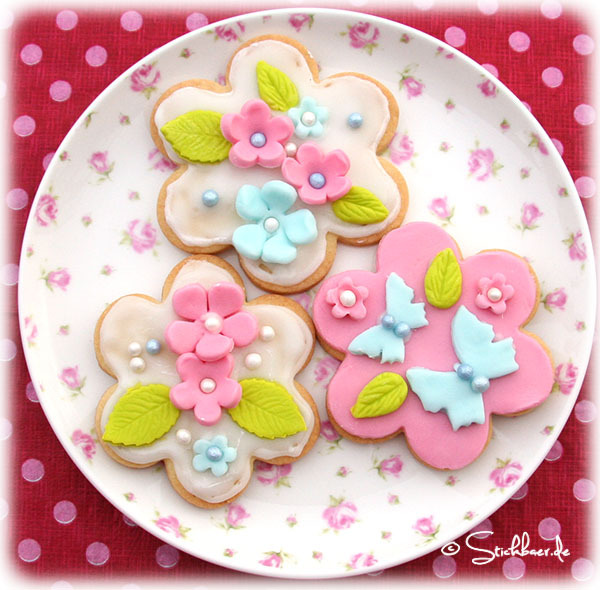 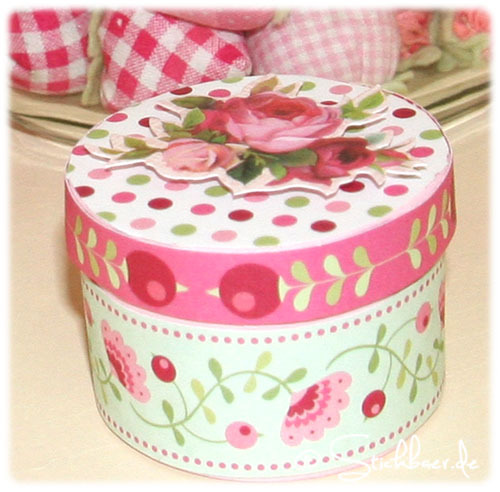 do you like to embroider them onto other things as well? 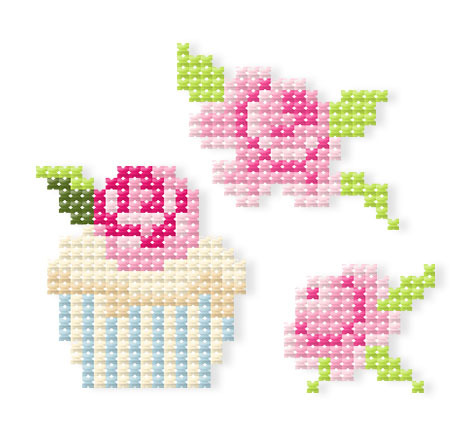 This week we have a full lineup of cross stitch designs for you. 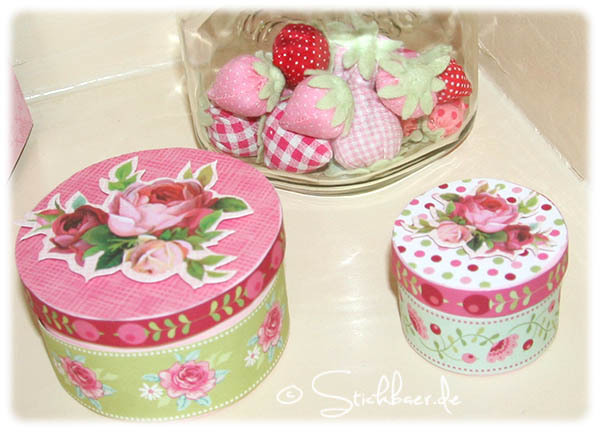 They really can be used every where, they are so tiny and cute and fit into the smallest place. 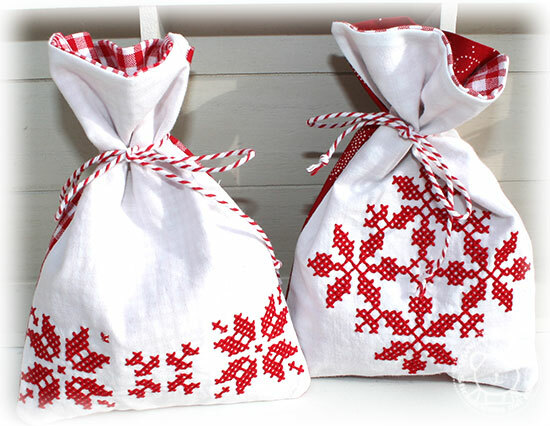 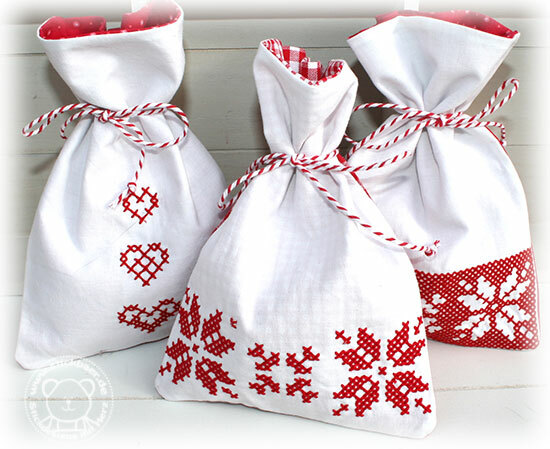 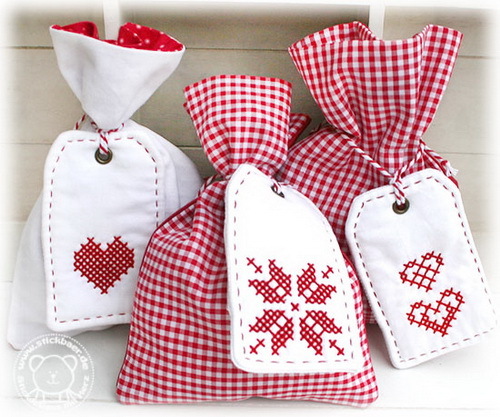 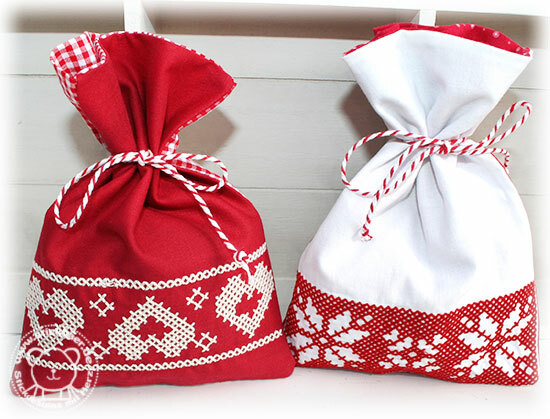 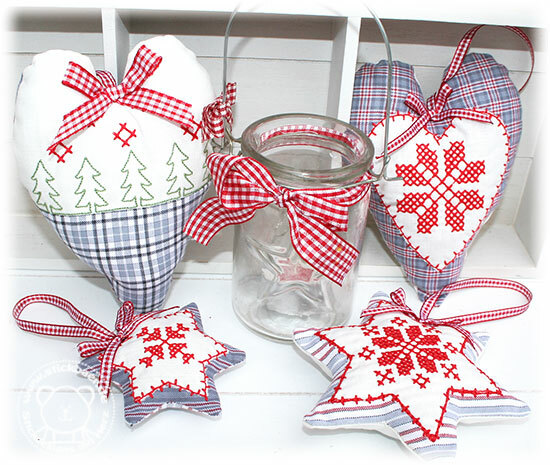 Like this: Take some fabric remnants and create hangers for the christmas tree or labes for your christmas presents. 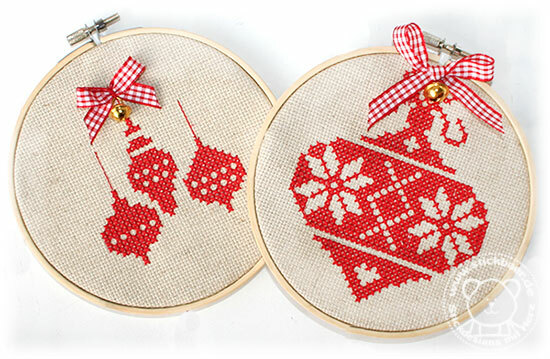 Or frame them into a wooden embroidery hoop. 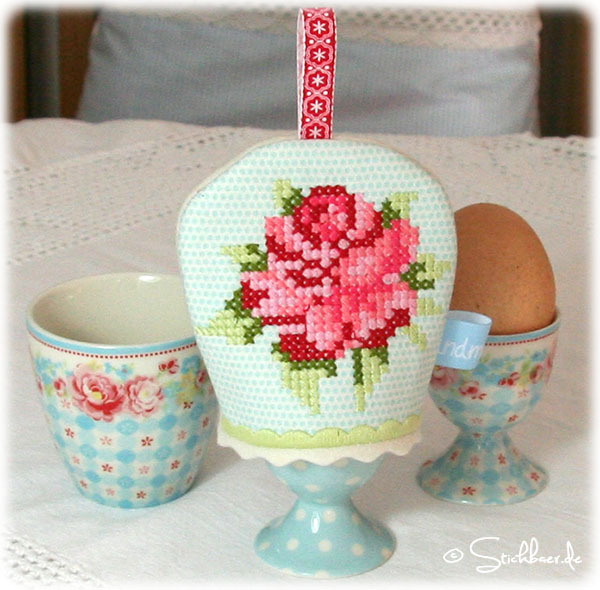 I like the cross stitch motifs the most when they are done using 30 cotton thread. 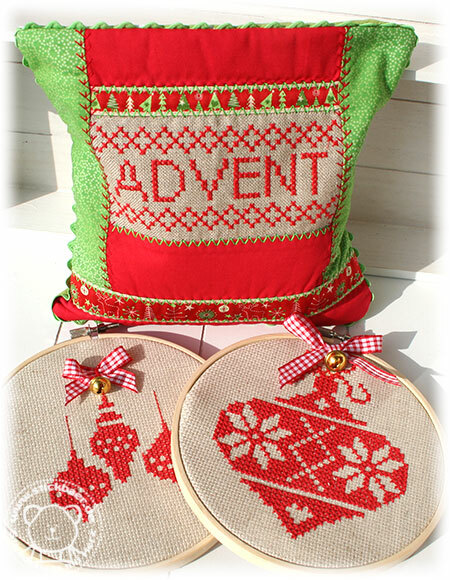 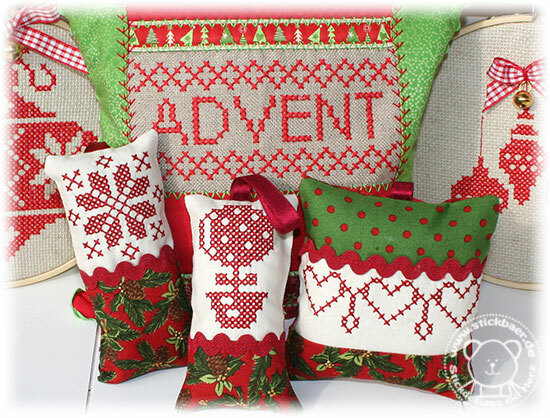 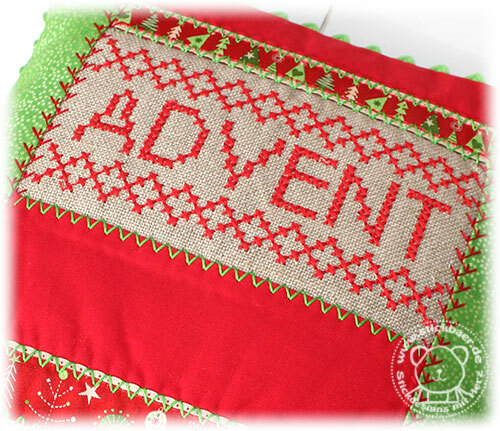 The “Advent” script and the motifs in the hoops I did with a cotton thread. 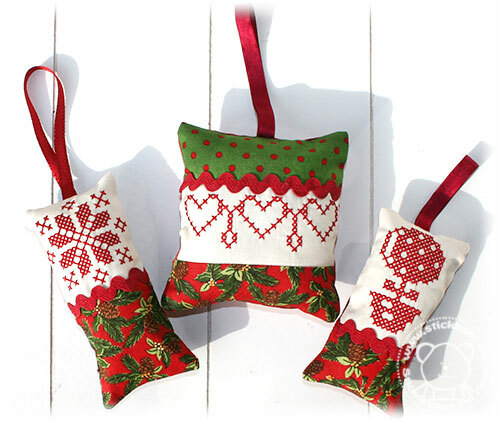 They are looking like they were made by hand. 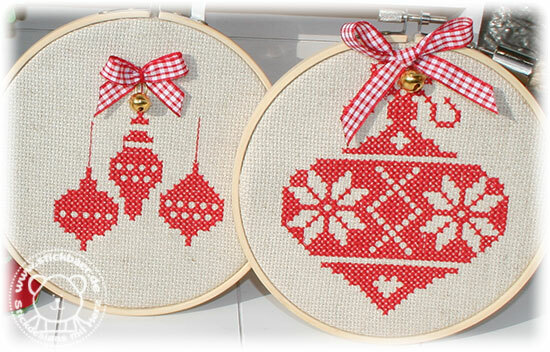 These wooden hoops I think are a good idea to present some embroidery works in a suitable way. 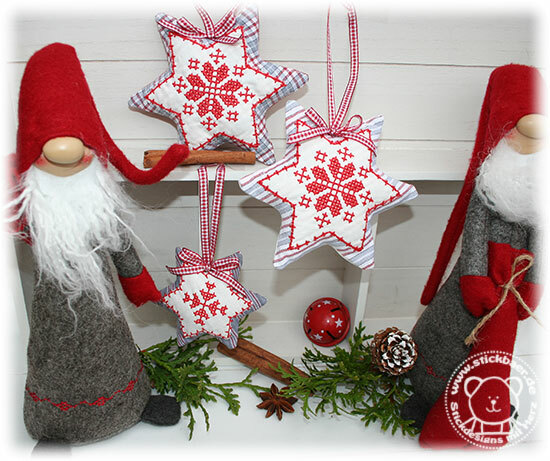 I change them depending from the time of the year and hang them onto the wall. 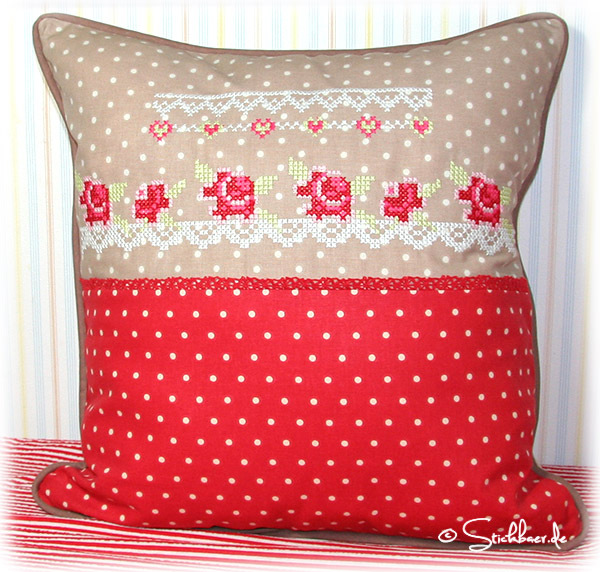 This pillow cover is for my cherry pit pillow I am using in the evening to heal my aching from computer work neck. 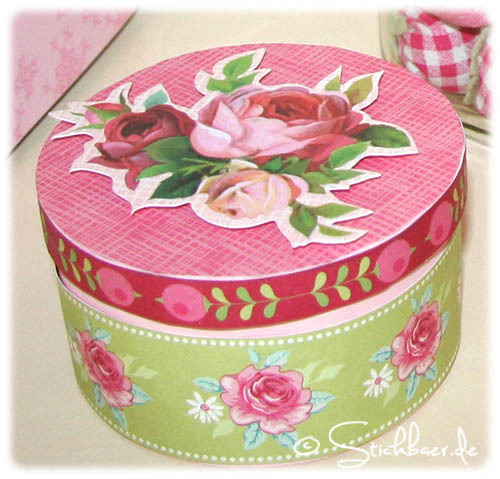 Looks like handmade! 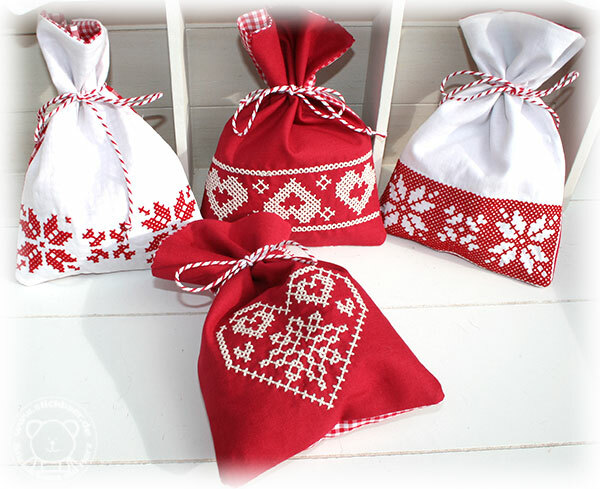 The complete selection comes with 16 different embroidery motifs, 5 ot hem are for the 13x18cm hoop, the others for the 10x10cm hoop. 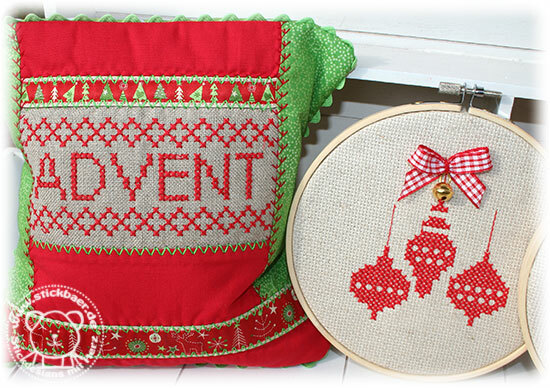 So we offer a reduced collection for the 10x10cm hoop too. 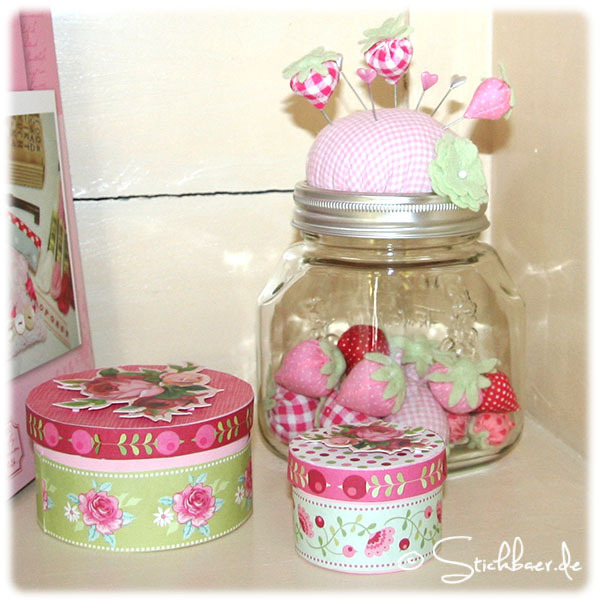 Both collections are available from today in the Stickbaer Shop. 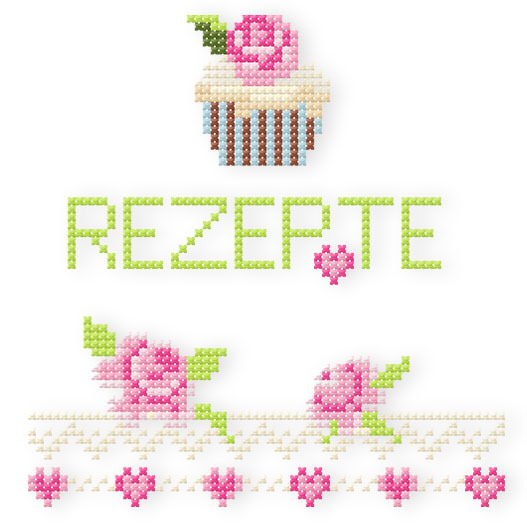 Enjoy your weekend, use the time for embroidering! 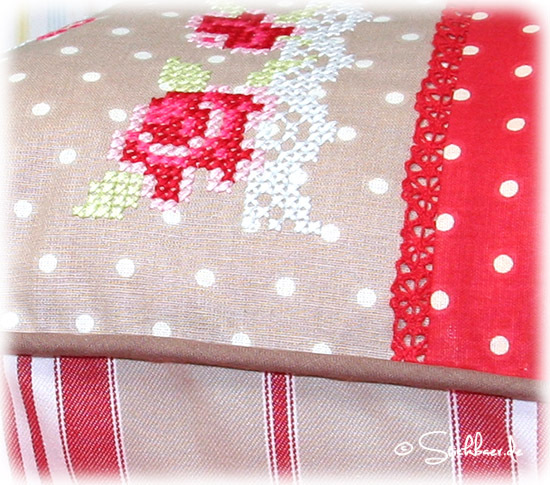 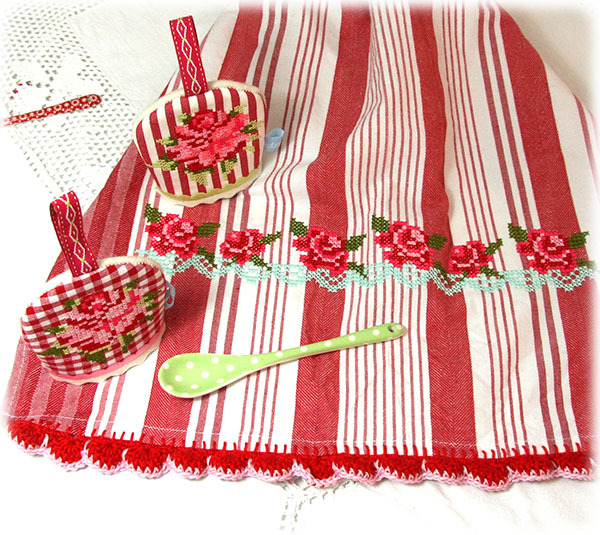 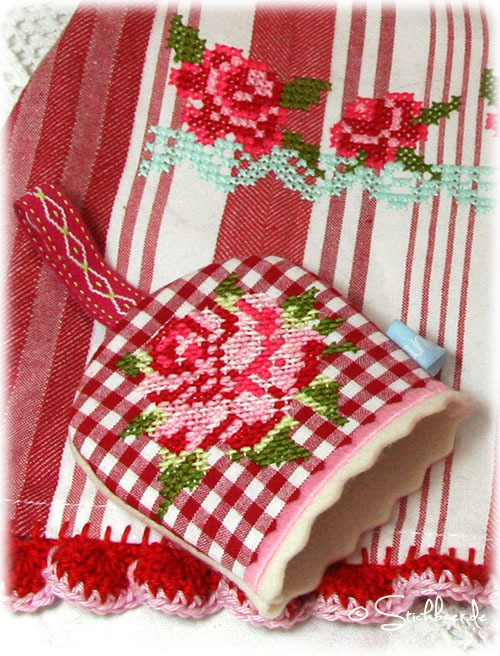 I like clear colors, checkered and striped fabric and cross stitch. 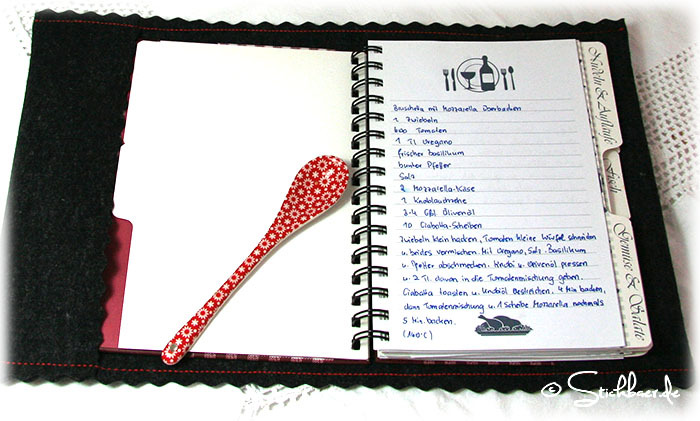 When all comes together: perfect! 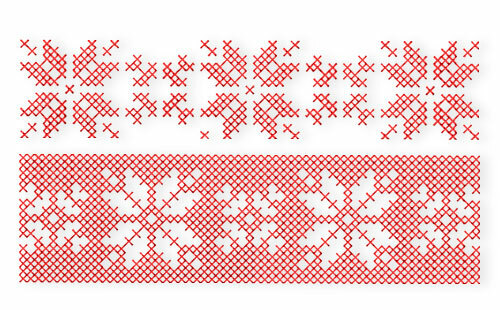 For our new embroidery file we combined simple, handmade looking cross stitch with the latest fabrics from the collection “Bergen” by Westfalenstoffe. 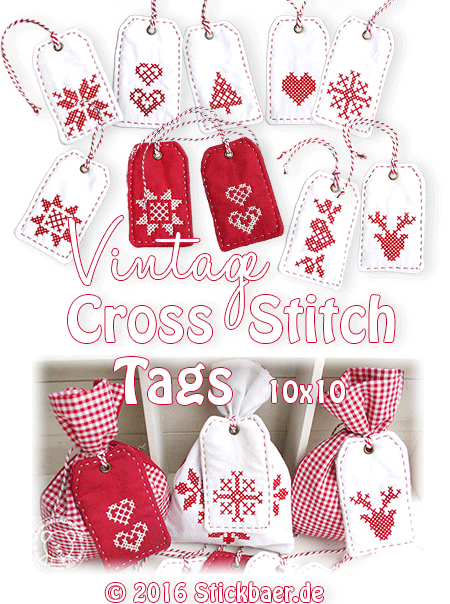 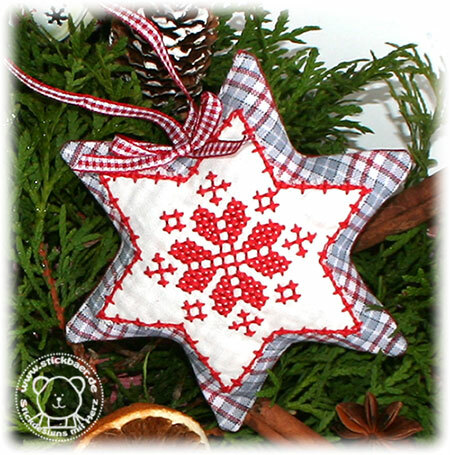 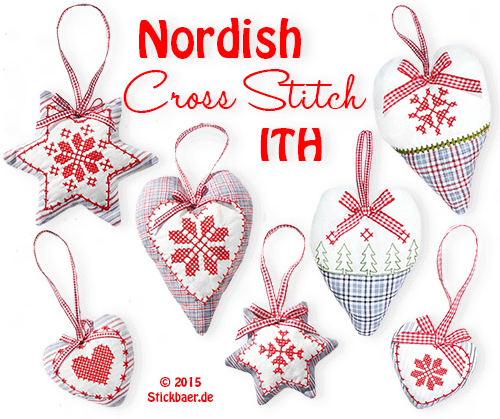 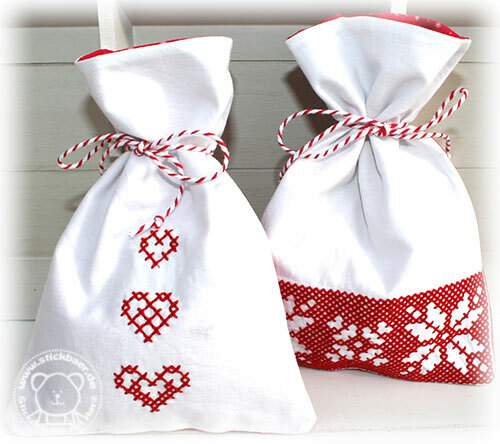 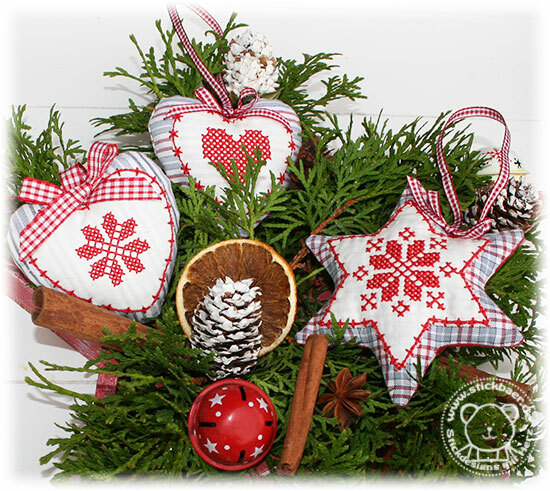 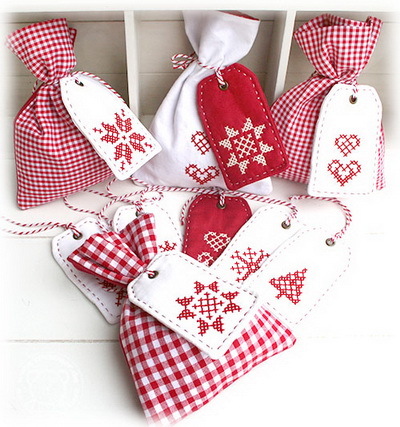 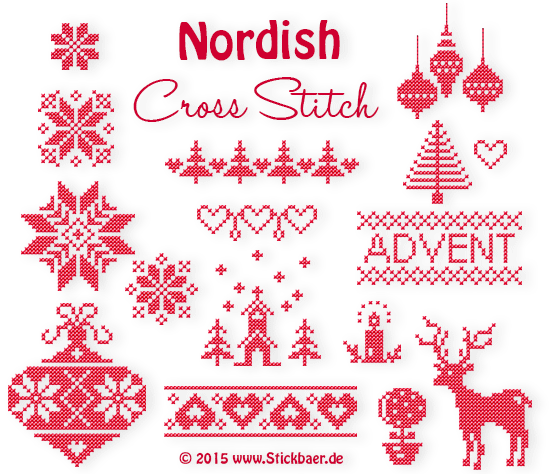 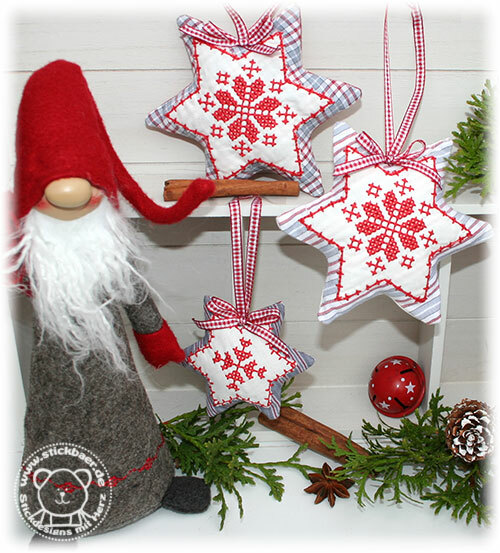 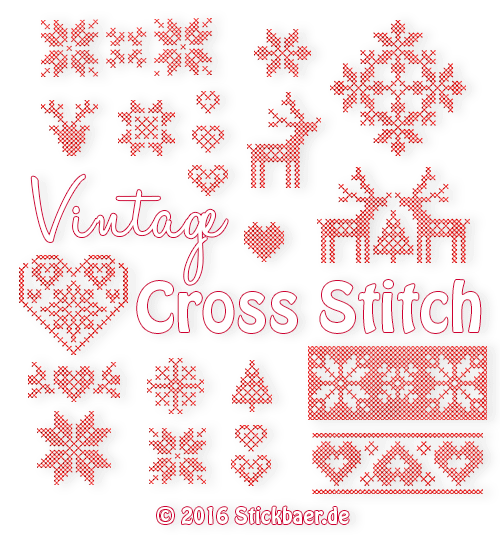 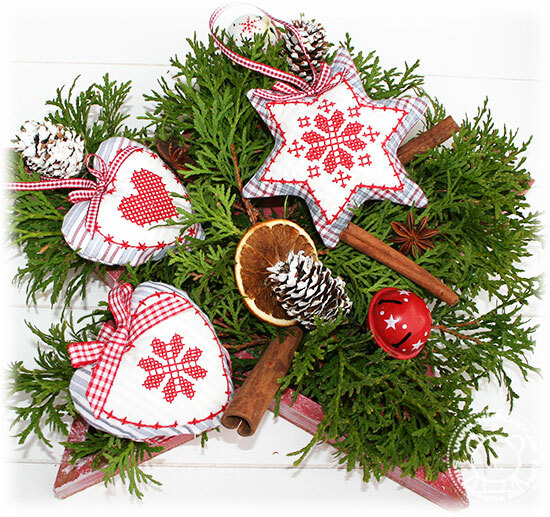 The result is the “Nordish Cross Stitch ITH” collection, a set of 7 different wonderful hearts and stars for the christmas tree, christmas decoration or door wrest. 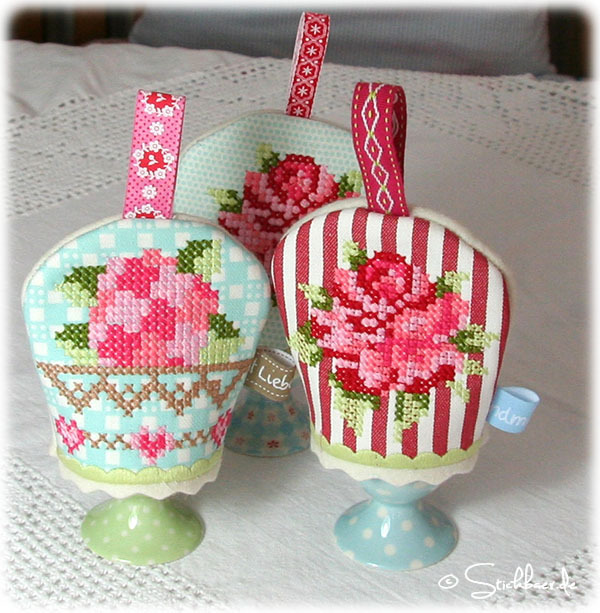 They are done completely in the hoop in the machine including great cross stitch motifs. 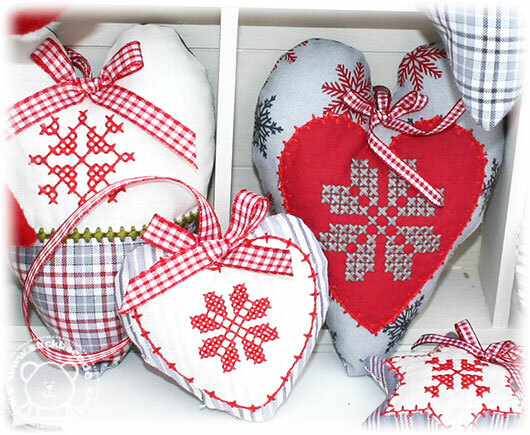 Aren’t they looking like they were made by hand? 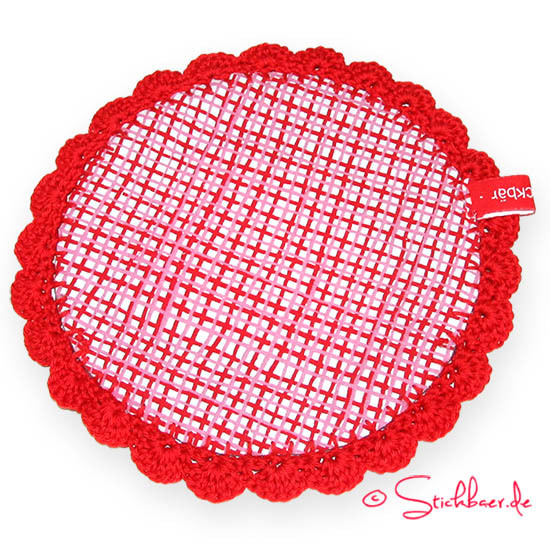 Do you own the 10x10cm hoop? 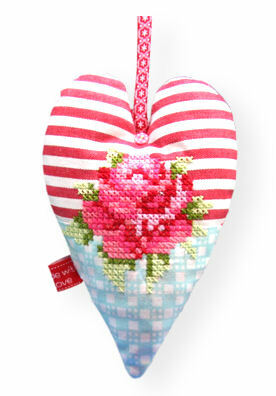 then you should take the mini pack of 3 motifs, 2 hearts and 1 star. 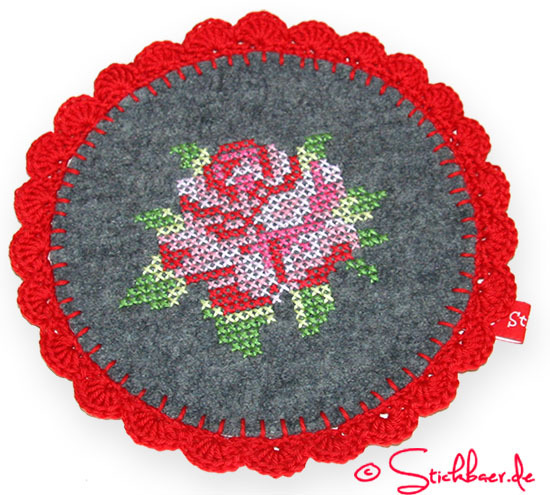 Do you have a 13x18cm hoop? 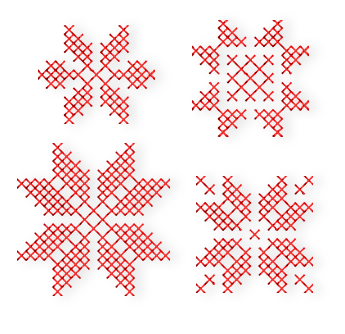 Take the series of 4 motifs. 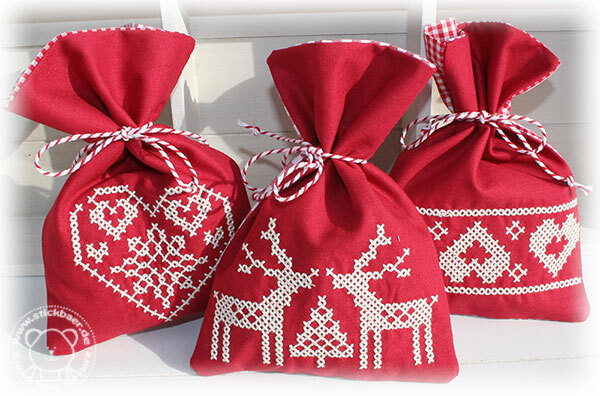 Want to have them all? 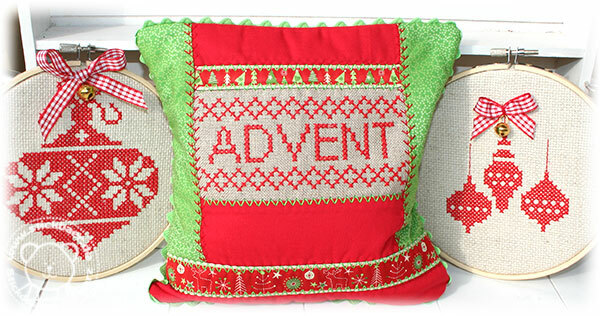 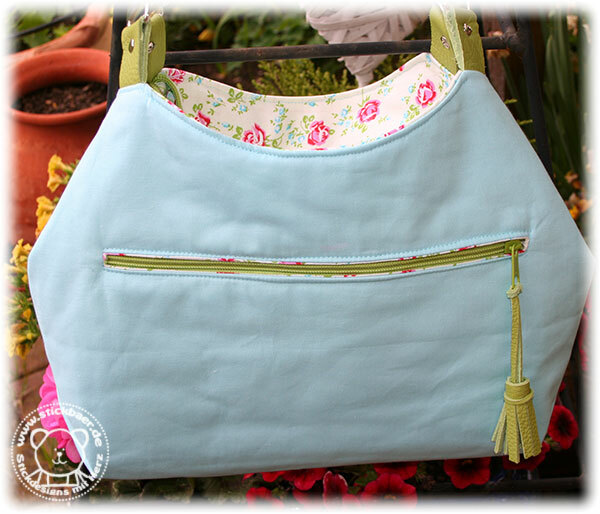 The complete package has 7 different ITH embroidery motifs. 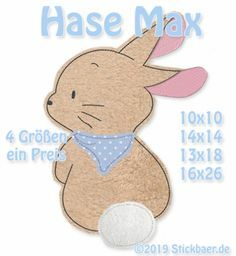 Have you seen how easy it is? 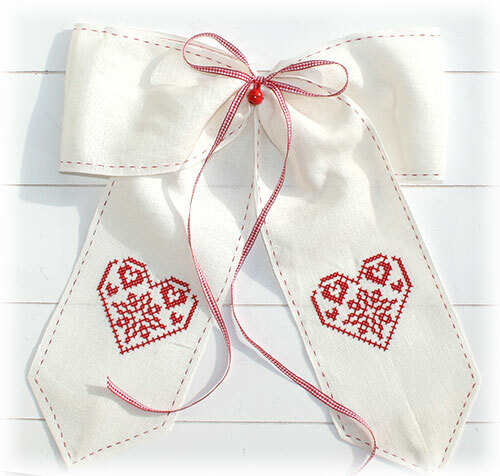 …embellished them with checkered ribbons. 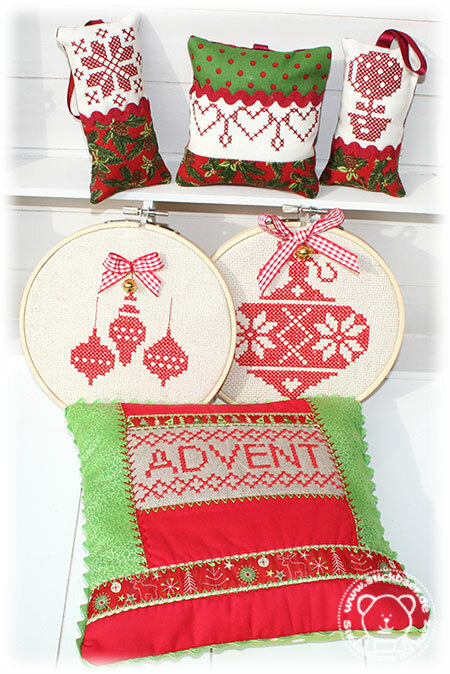 We used a 30 cotton thread for the cross stitch. 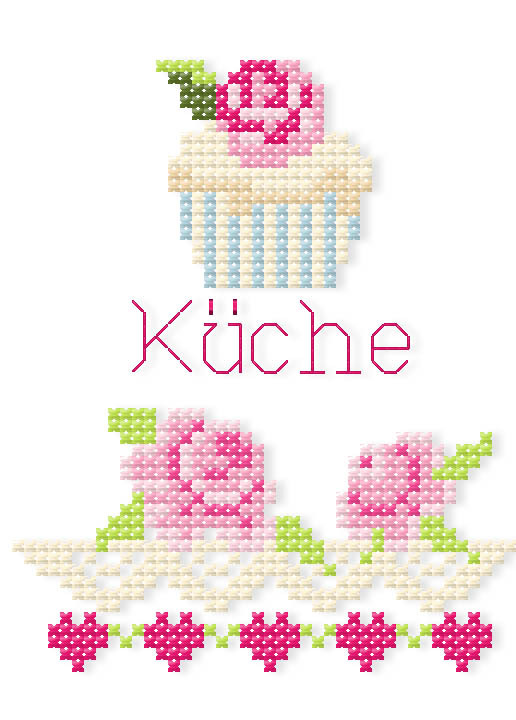 Important is that you chose the right embroidery needle. 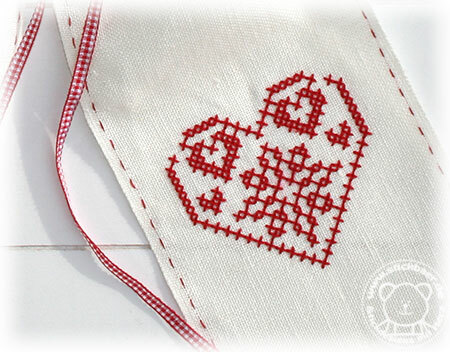 For the thick cotton thread an 80 needle is a good choice. 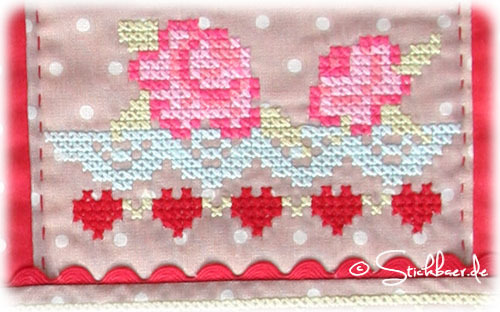 This the motifs are looking like embroidered by hand with wool yarn. 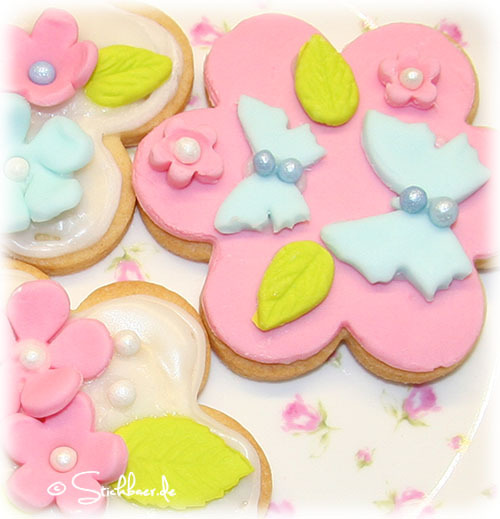 … make a new door wrest. 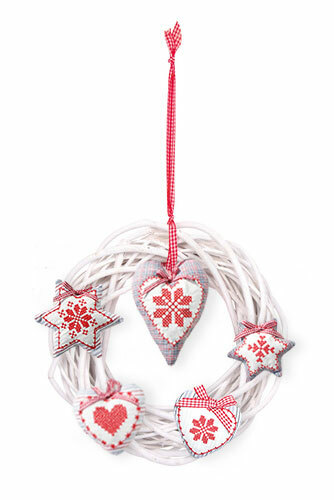 I am sure there are hundreds more ideas what to do with our ITH hangers. 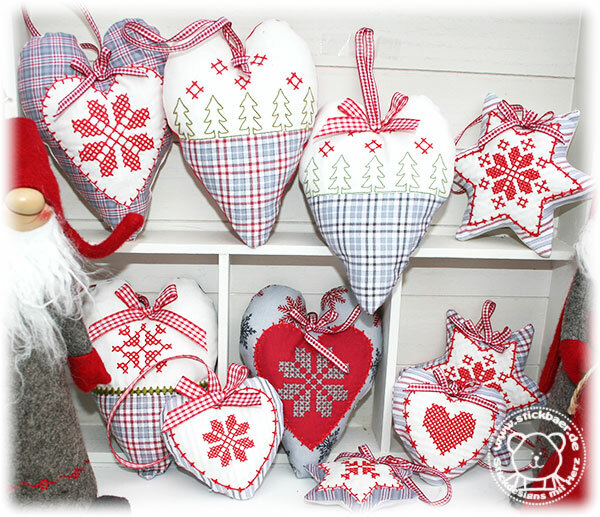 From today you can find them in our shop. 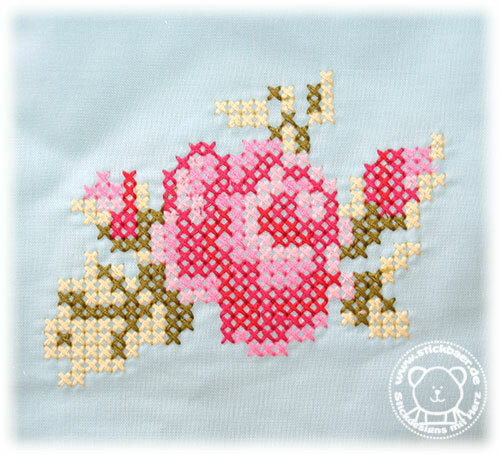 The last days I had shown you many new things, I had embroidered with the crosstich motives of my new file. 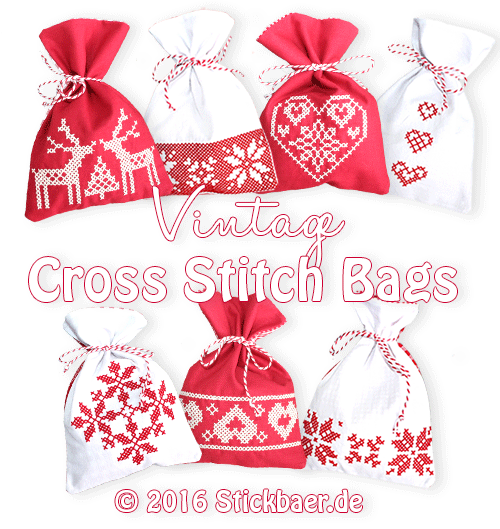 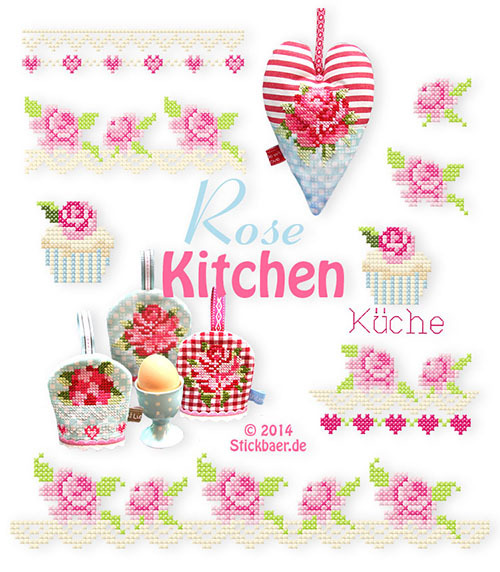 Now you can buy the new embroidery files in our shop. 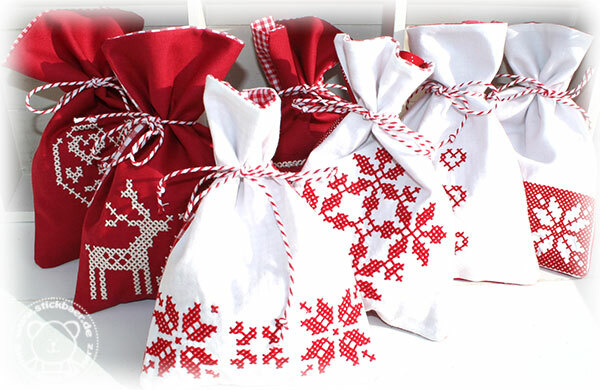 I want to present them to you in the following. 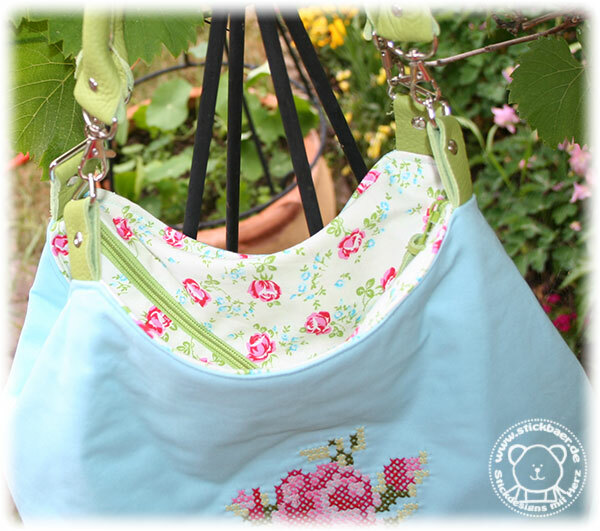 The file is so manifold! 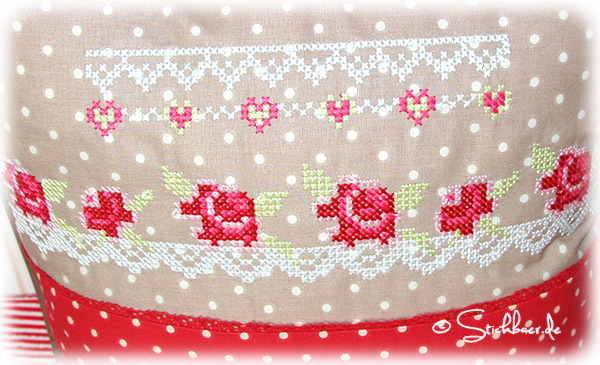 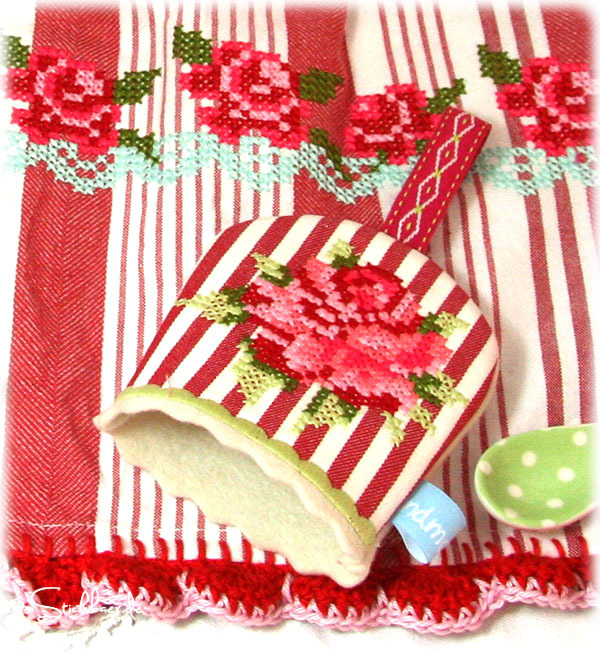 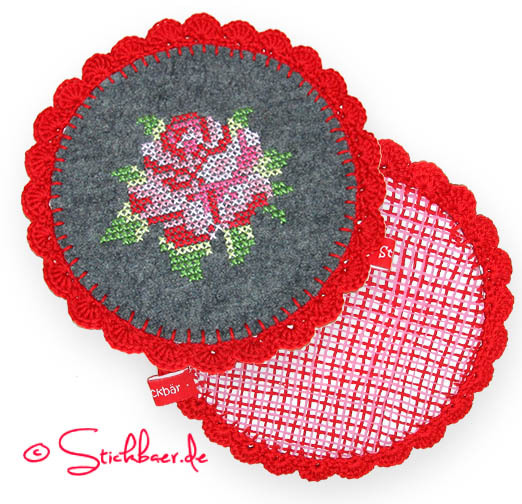 Along with the crosstich motives you can also find 2 different egg cosies ITH and a rose heart ITH in the embroidery file. 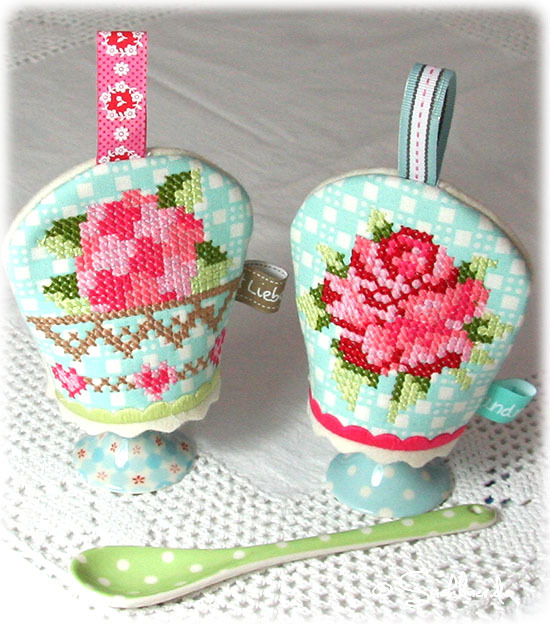 The egg cosies are made of thick wool felt. 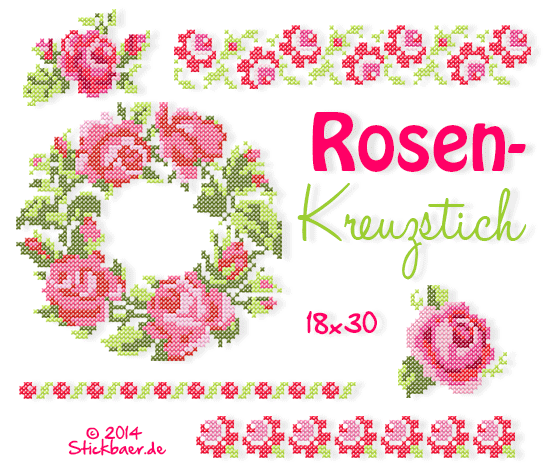 For all of you with the long embroidery hoop there is a extra 30 cm bonus file. 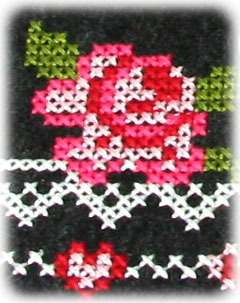 Which is also in the file for the 13 x18 embroidery hoop . 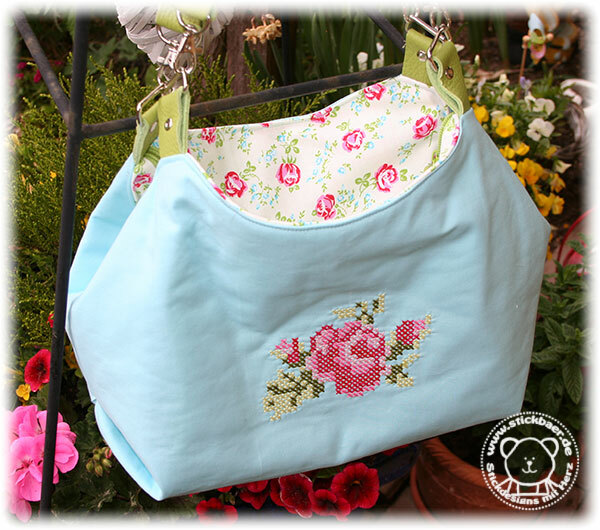 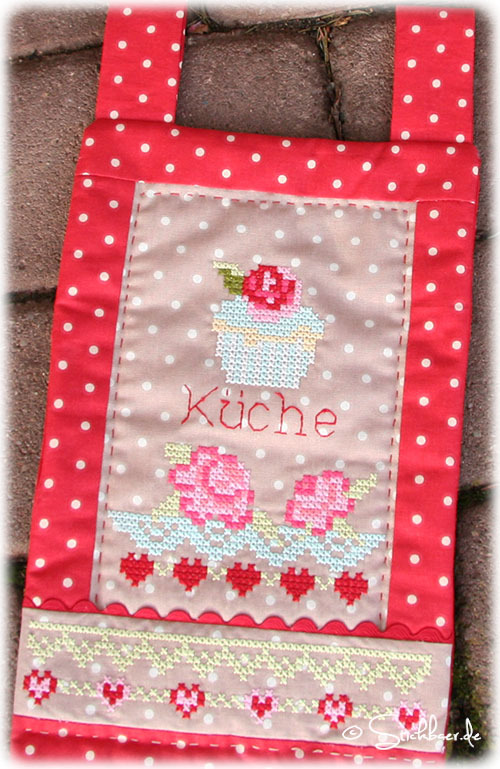 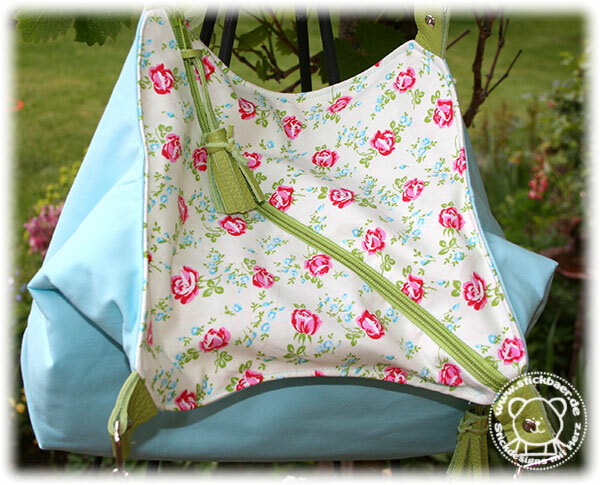 And for the 10×10 embroidery hoop there are along with the egg cosies roses and one cupcake . 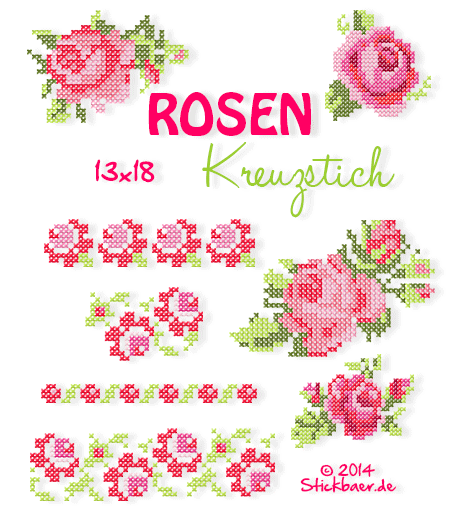 The whole file with 12 partly work intensive motives you can find now in our shop. 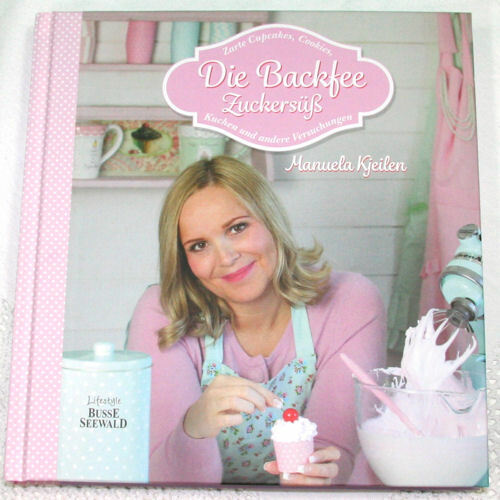 Of course there is too a detailed step by step instruction in german or english. 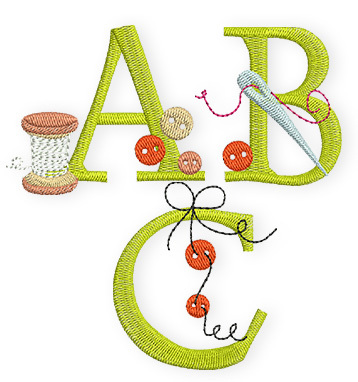 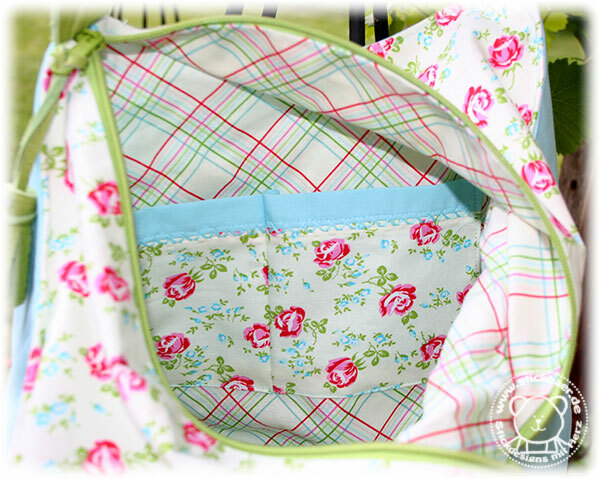 Sewing Alphabet Free design – Wanna peek? 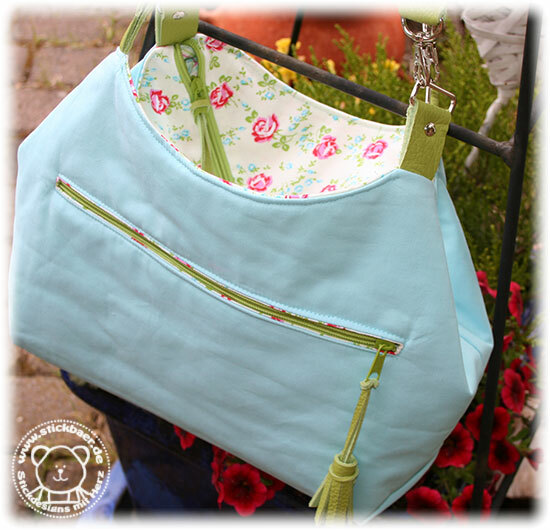 Honestly, the weather is to nice sit at your computer or in your sewing room. 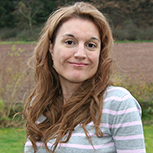 Nevertheless! 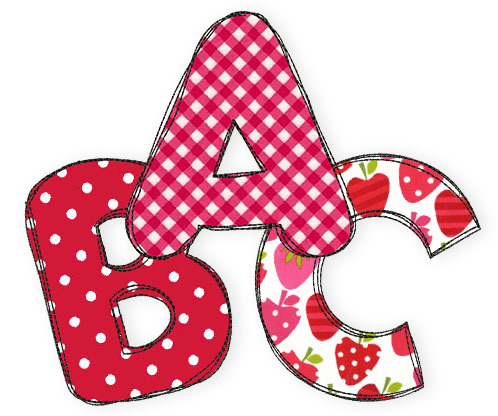 So I created a new alphabet for the Bernina blog. 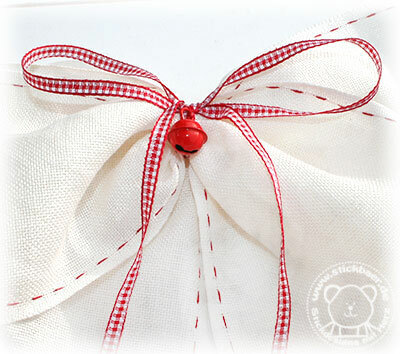 You are invited to collect on every Wednesday another letter. 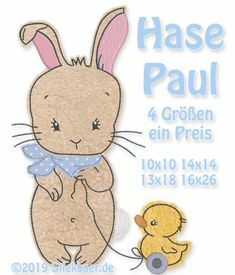 And today at 8 I started. 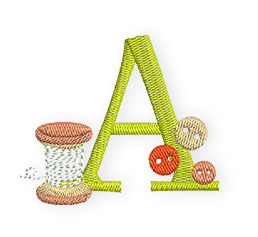 Here you can find the very first letter, the A: BERNINA-Blog. 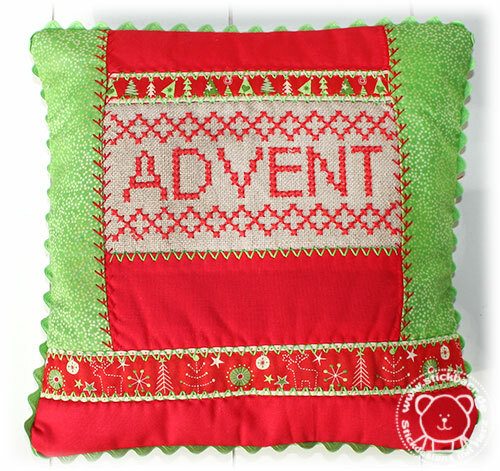 Guess what letter will be on next wednesday? 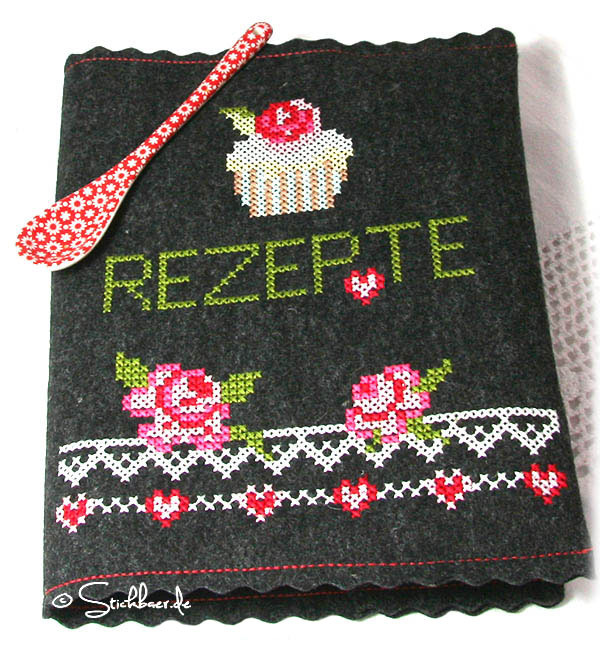 Yes, it will need some patience. 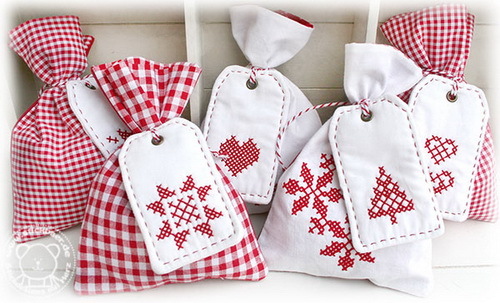 But it is worth to collect them all. 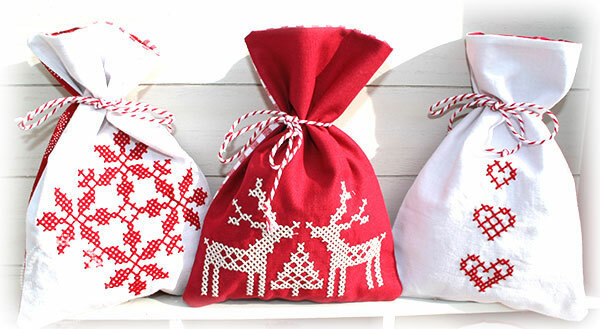 Wait til Friday to know more.